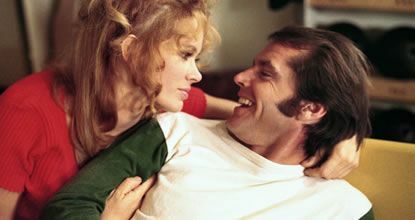 Digitally restored, FIVE EASY PIECES is now available on a new 35mm print and for digital cinema. Jack Nicholson stars in Bob Rafelson's seminal portrait of a dissafected and cynical America. A restless musician learns you can never go home again when he visits his family for the first time in three years. Winner of the New York Film Critics Best Picture award, Best Actor and Best Supporting Actress. For this new restoration, Sony Pictures began with a 4K scan of the original 35mm camera negative and the 35mm Separation Masters. Following an extensive digital restoration to repair torn frames, scratches and the removal of all dirt from the image, the restored files were recorded back to a new 35mm colour negative, from which new 35mm prints have been struck.